At Schuster Family Orthodontics, we take a personal approach to orthodontic treatment. Given her years of experience and accolades, you can rest assured that Dr. Schuster has you taken care of! She prefers to provide all the care to her patients rather than delegate to auxiliaries. Dr. Schuster believes this is the best way to reduce and possibly eliminate emergencies and increased treatment time. Although our practice is equipped with state-of-the-art technology used in diagnostics and monitoring, and we use only leading-edge, proven treatment methods, we also believe in old-fashioned, patient-focused care. The connection between our team and you is essential for you to enjoy your orthodontic journey, and we want you to love getting your new smile. For your comfort, we also provide private operatories rather than the traditional open-bay set-up found in many orthodontic practices. 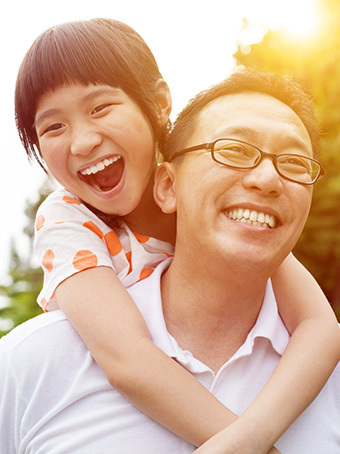 We understand that for many families, orthodontic treatment is a considerable investment, and we are therefore dedicated to providing the highest standard of treatment to each individual patient who entrusts his or her treatment to us. Committed to using only the best products for our patients, Dr. Schuster uses 3M and TP Orthodontics brackets, individually packaged wires from 3M, Reliance bonding materials, and custom appliances from AOA lab — all leaders in the orthodontic industry.